Publisher: Pelican Publishing Co., Gretna, La. Book by Frank, Charles W, Frank, Charles W.
Waterfowl artistry, whether created by carver or painter, is incredibly difficult to master. From the distinctive bill and almond-shaped eye of the hen mallard to the magnificent back pattern of the pintail drake, nature exhibits an unrivaled creativity, rife with subtlety, which artists can only crudely re-create. 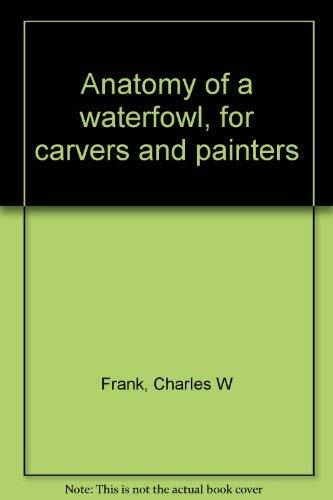 As one of America's premier authorities on the carving and painting of waterfowl, Charles W. Frank, Jr., understands the daunting task carvers and painters of ducks and geese undertake, whether they engage in the realistic or decorative, whether they are amateurs or professionals. Organized by chapters, each devoted to drake and hen of a particular species, including the mallard, pintail, hooded merganser, wood duck, and snow goose, this book offers detailed instructions on carving and painting techniques. Frank demonstrates, with over 250 color photographs, his unparalleled knowledge of each species' peculiar anatomy, vermiculation, and coloration.